I’ve been going a bit polenta mad recently. It has been turning up in my baking, as a side dish with a chop and some roasted red peppers and even in place of breadcrumbs for pané-ing. 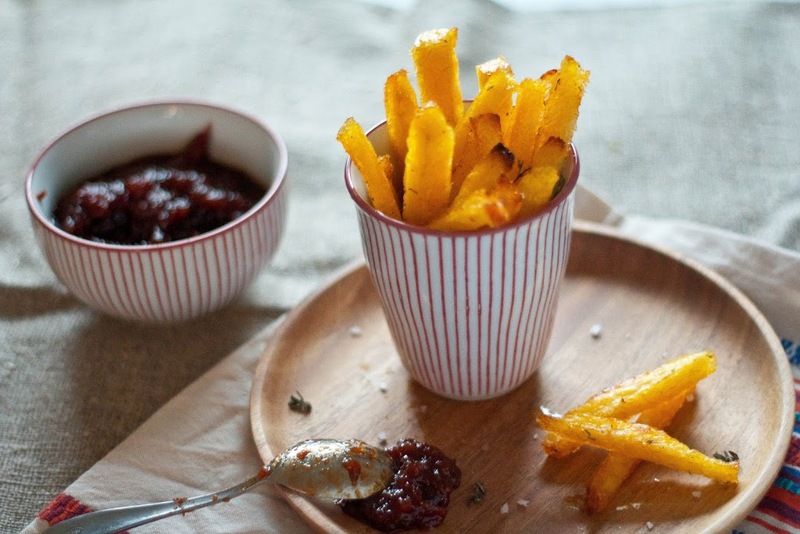 But these chips take the (polenta) biscuit. They are fun, delicious and ridiculously easy to make. You could flavour them with anything that takes your fancy really, but I went with a goats’ cheese and rosemary combo. Other ideas include chili and coriander, chives and sour cream, sage or just leave them salt-and-pepper-plain, of course. The only thing I would say is do oven roast them, rather getting out the deep fat fryer. Not only is this obviously much better for you and less faff, I actually find it the best method to retain any of those added flavours. 1. Cook the polenta according the packet instructions. I normally bring a big pan of salted water to boil (about 1L), or even stock for extra flavour, and then pour in the polenta in one steady stream. It will bubble up something rather vulcanic, but be ready in no time at all. 2. Remove from the heat and add the goats cheese, stirring until melted. Pour into a baking tray so that the polenta is about 1 inch thick. Smooth over slightly and leave to cool and set completely. 3. Meanwhile, preheat your oven to 200 C. Cut the cooled polenta into ‘chip’ like strips. Place on a large roasting tray and drizzle over some olive oil, herbs, sea salt and pepper. Toss to coat thoroughly. 4. Bake for approx 30 minutes or until lightly golden and crispy. Enjoy with a dip of your choice- I found chili jam was a bit of a match made in heaven. Must try these. I never would have dreamt them up. They look absolutely delicious!